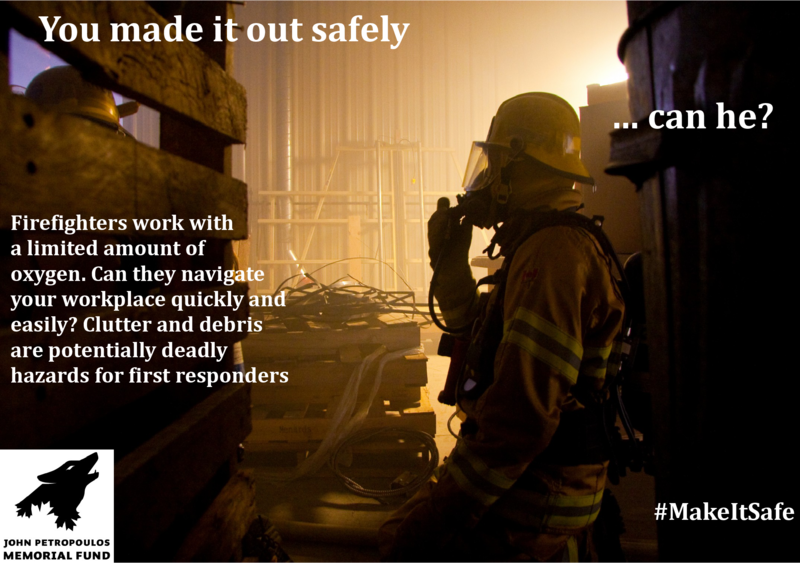 Emergency responders expect dangers on the job; your workplace doesn’t have to be one of them. Emergency responders are unfamiliar with your workplace. Consider workplace safety from the point of view of someone who has never been there before. The workplace of emergency responders is everywhere: indoors, outdoors and on the road. Your workplace is their workplace … is it safe? Darkness creates an unknown environment. Is sensor lighting in effect at your workplace? Firefighters work with an amount of oxygen that is limited. Can they navigate through your workplace quickly and efficiently? Blocked exits are a death trap for everyone. Make sure exits are clearly marked and accessible. Is your workplace as safe after hours as it is during business hours? Spills and sharp items left on the ground are a hazard to firefighters who have to crawl on the floor during a fire call and K-9 dogs that have to search buildings. During an emergency, it’s important that responders know what is stored where. Are hazardous and flammable materials safely stored and clearly marked? Are alleys, roadways and parking areas at your workplace accessible to emergency vehicles? Are signs and safety railings in place for all potential hazards? Malfunctioning alarms are far more than just a nuisance. They are dangerous for emergency responders who have to treat all alarm calls seriously. False alarms are only false in hindsight. Conduct regular hazard assessments. Ask yourself: what could go wrong here? Store pallets and other stacked material safely and securely, with heavier items stacked low to the ground. 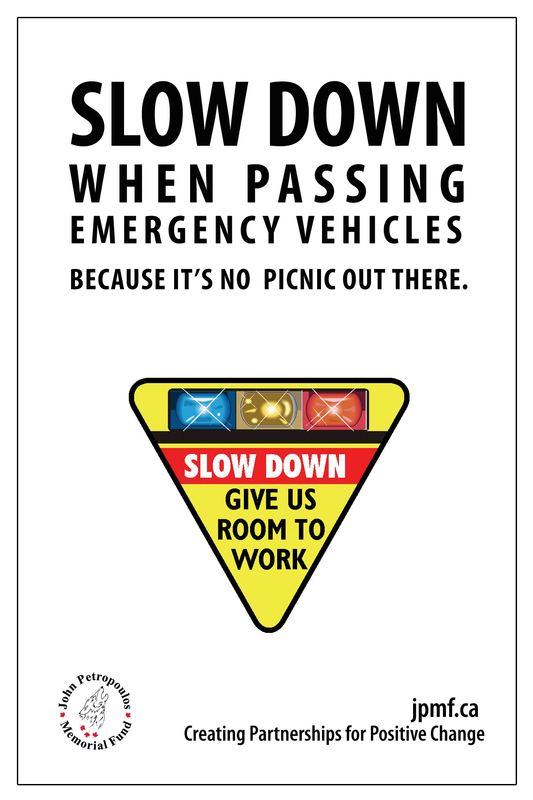 During a medical emergency, paramedics need to make it in and out of work sites quickly. Are hallways, stairwells and work areas clear of clutter and accessible for paramedics with loaded stretchers? Make the unfamiliar at your workplace familiar to workers, customers, emergency responders, contractors and other services that may attend the work site. Clean up broken glass, spills and debris. Ensure open holes are covered and work to eliminate trip hazards. Get permits for all renovations. Permits help ensure the work will be done properly and safely. Ensure access points to construction sites and other work areas are clearly marked. Help create a culture where safety for emergency responders is an integral part of every workplace. Workplace safety is not only the responsibility of employers; it is everyone’s responsibility.